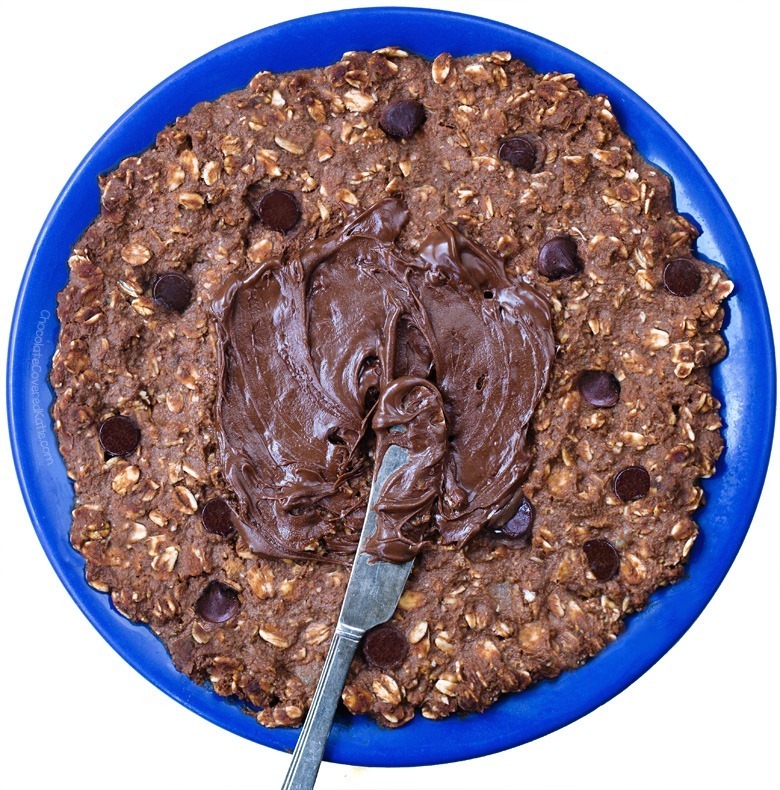 A giant, single-serving oatmeal chocolate brownie breakfast cookie. Two days ago, my original Overnight Breakfast Cookie post went viral. I’ve had other recipes go viral in the past… but never this rapidly! It’s been so much fun to see how many of you have already made your own breakfast cookies – I love seeing the flavors you’ve been coming up with and all of the breakfast cookie pictures you’ve been posting on social media. The fact that so many people are trying one of my recipes makes me ridiculously happy. If you somehow missed the original post, you can find that recipe here: The Overnight Breakfast Cookie. Thank you SO much to everyone who has been sharing the recipe!!! As soon as I saw how much love there was for the original breakfast cookie recipe, I naturally had to change my posting schedule for today in order to get a chocolate version up, because I fully believe there should be a chocolate version of just about everything. 1. If I don’t want to use protein powder in the recipe, what can I substitute? You can substitute an equal amount of either pb2 or your favorite flour for the protein powder. 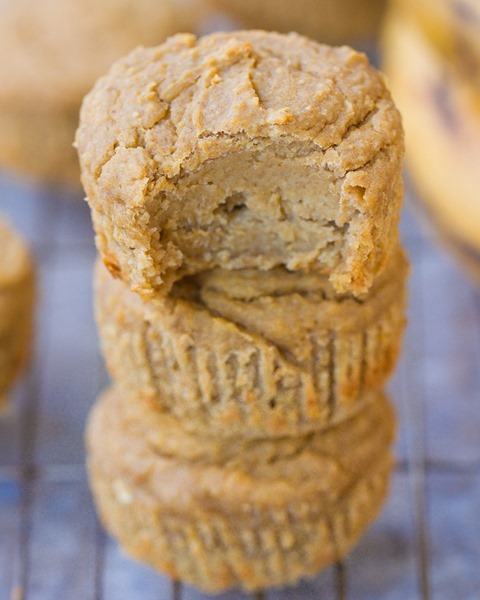 I’ve tried oat flour, and I know many readers have been making the recipe with almond flour. 2. Do I cover the cookie before it goes in the fridge? I’d recommend gently placing a paper towel on top or leaving it uncovered. Sealing it with saran wrap would seal in moisture and thus not allow the cookie to firm up overnight. 3. Can I bake the cookie in the oven? I’ve never done it, but I don’t see why not. Be sure to report back with results if you try it before I do. I decided to add a few chocolate chips to the batter and cover it with homemade Healthy Nutella. This turned out to be a good decision, for the obvious reason that a nutella breakfast cookie > no nutella breakfast cookie. That’s just basic math right there. If you make the recipe, be sure to rate it in the comments below or tag me on facebook or on Instagram. Stir everything together. Spread out on a plate. Refrigerate overnight, either uncovered or with a paper towel placed gently on top. 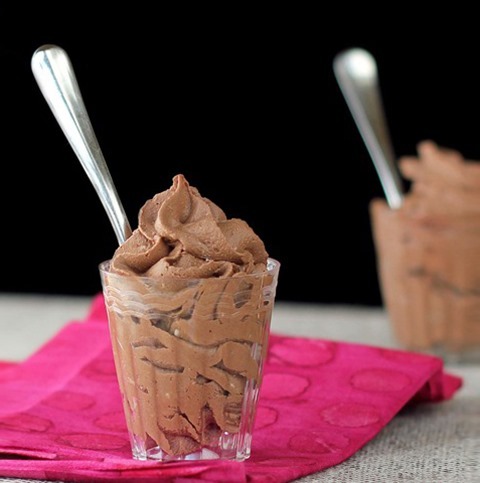 Frost if desired (I used my healthy nutella recipe linked earlier in this post), or add toppings such as melted almond or coconut butter. Enjoy! 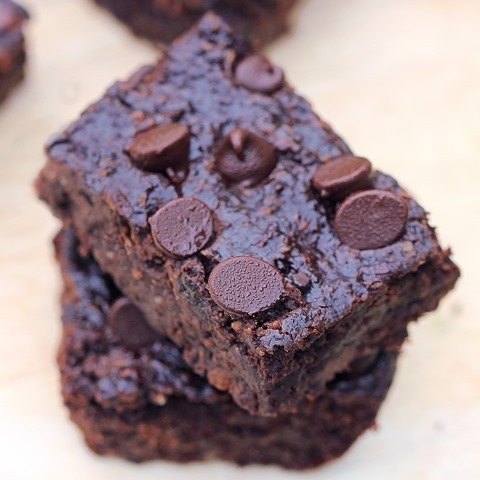 This is by far my blog’s most popular recipe, with 2,500 comments and over 8 million views. 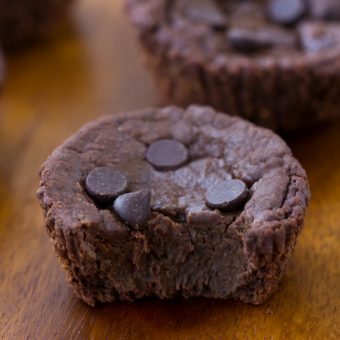 If you haven’t tried these brownies yet, they are highly recommended! 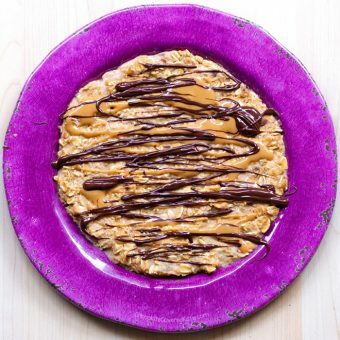 I can see this being a breakfast, afternoon snack and after-dinner cookie for me! YUM! LOL!!! Nutella > no Nutella is my kind of math. These cookies look amazing! I can’t wait until we get into our new house and I can cook again! Almost didn’t make it to the fridge lol! Incredibly tasty, thanks!! Amazing as always! I am thinking about making oat cookies for breakfast today, actually! Haha, what a coincidence! I tried calculating the calories but keep getting around 350..? The oats alone are 150 calories then + 1 tbsp almond butter (90 calories a tbsp) is already at 240 which is above the provided calorie count in the nutritional facts and that’s before adding anything else. Please let me know if I’m doing something wrong; these look amazing! It might be an issue with Calorie Count’s nutrition calculator. I know if you are not careful with that one, it sometimes gives inaccurate calorie information for certain ingredients. 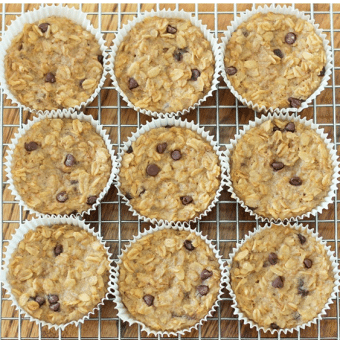 I always make healthy version of cookies and 99% of the time oats are in there!!! 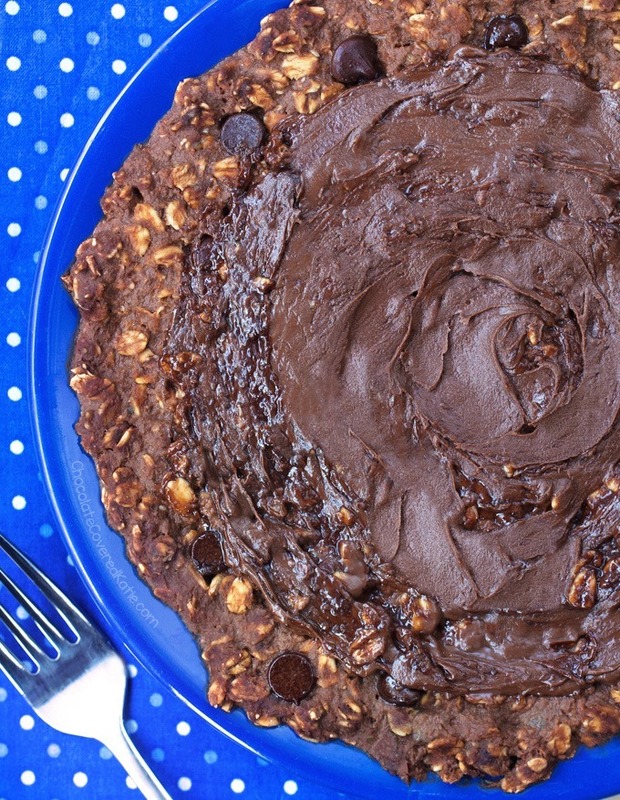 I’ve never thought to make one big cookie…like a pancake cookie! Such a cool idea. I’m going to do this the next time I make cookies for the kids! I loved this!!!! So delicious. Hi katie, have you ever attempted baking with jicama? I am wanting to find a way to prepare it that is tender? I am thinking maybe grating it. What do you think? With it having so much moisture in it, maybe it would be go9d for chocolate cake? Would appreciate any input you may have. Mine was delicious but basically the consistency of overnight oats, it didn’t really firm up. Does this mean I should have added more flour? I think it’s supposed to have a soft eat-with-a-spoon texture, as seen in the video. If you want a harder texture like a real oatmeal cookie, maybe try baking it? Could be a fun experiment! I wondered the same thing regarding consistancy. 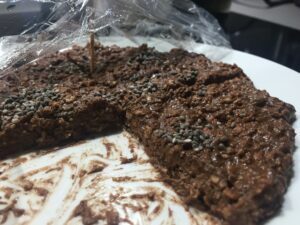 I was expecting it to firm up (like the no-bake oatmeal, PB, chocolate cookies that have a lot of sugar in them), but it didn’t. I was wondering if it was because I used applesauce and perhaps the amount of applesauce should be less than if using a banana? 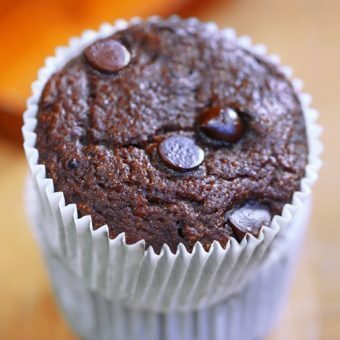 Has anyone tried baking this? If so results and taste. I’m obsessed with this recipe! It’s so filling and satisfying. 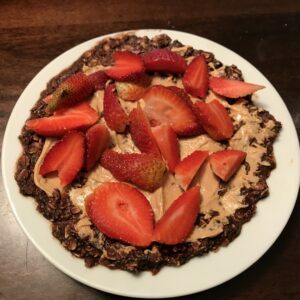 I topped mine with strawberries and pb2. I’m not sure why, but mine came out barely edible. I used applesauce and that’s all I could taste. I added a bit of sugar and a bit of almond flour to steady it, but it was still not something I’ll want to eat again. So easy to make and absolutely delicious. Definitely going into the recipe book. Thank you, thank you times a million! I made this and it was delicious, but the recipe made so much that I split it into 2 “cookies”. I put it onto 2 plates overnight. The “cookie” was still so soft that I wouldn’t be able to pick it up at all, i’d have to eat it with a spoon, and and I didn’t want to do that, so I baked it at 350 for 9 minutes. I had anticipated the possibility of having to do this when I put the cookies on the plates the night before, so I put them on wax paper – I just transferred them on the wax paper to the cookie sheet and baked them. They firmed up enough that I can pull off pieces and eat them like a very soft cookie, but still have the gooey “underdone” texture of the oatmeal cookie that I thought they’d have when I put them on the plate the night before. I usually like a firm, crispy cookie, but this soft gooey cookie is ok for me for breakfast. The size is perfect at half the recipe, there is no way I could eat the whole recipe in one sitting. So I got 2 cookies out of one batch. Used PB2 and also peanut butter, so the chocolate peanut butter taste was a bit strong. I would probably tone down the pb next time! This recipe just won my heart. Thanks for sharing it with us. This can be the perfect breakfast for all of us. 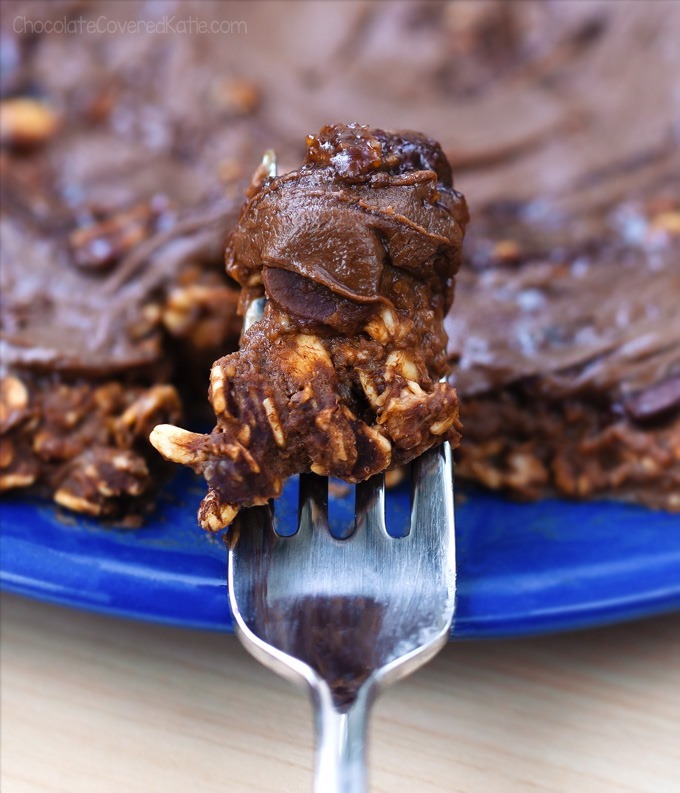 I think the whole point of this recipe is – it has to be gooey so… also if you like more Protein and less Fat you could add cottage cheese but then I used bowl where oats can sit overnight more loosely and add cottage cheese in the morning. I would guess you would like that Katie! Ofcourse cocoa powder goes in it too.